Prime Minister Justin Trudeau's sweeping sanctions relief for Iran will be a boon for Canadian businesses, but thawing relations between the two countries is not without risks for the Liberal government, say experts. 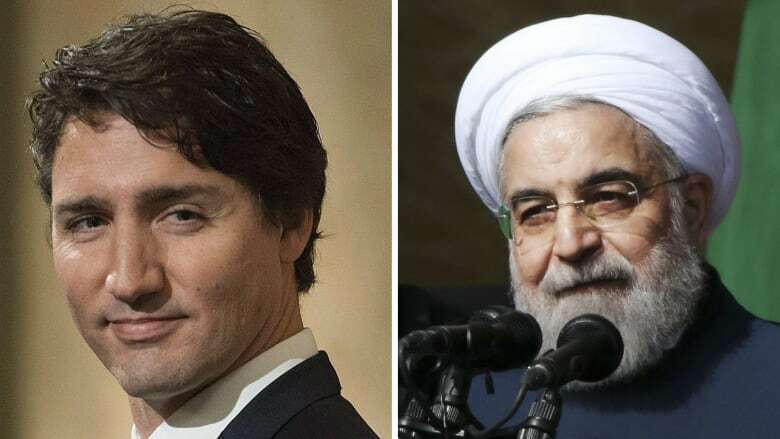 Prime Minister Justin Trudeau has pledged to restore relations with Iran and its president, Hassan Rouhani, right. 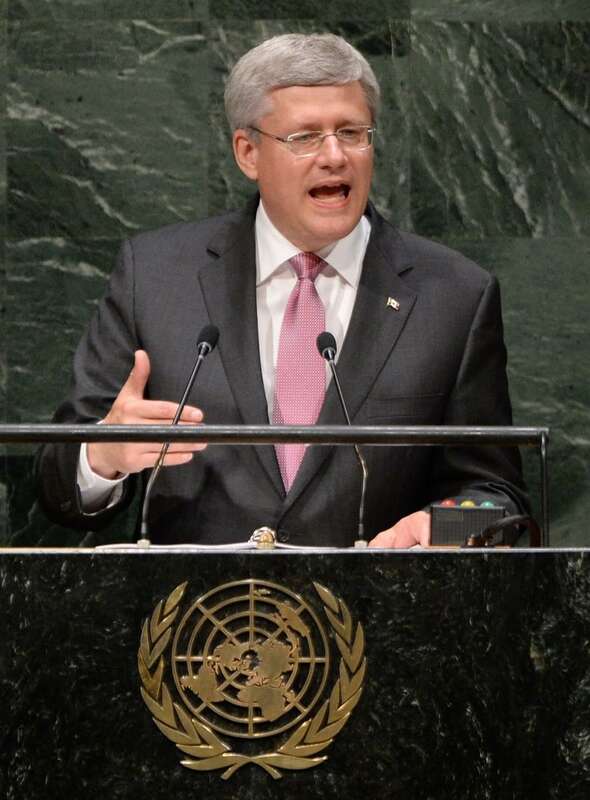 Canada lifted its sanctions against the country this week, but diplomatic obstacles remain. Stéphane Dion, Canada's foreign affairs minister, lifted virtually all sanctions against Iran last week, paving the way for non-military exports to a country that has long been seen by the West as a pariah state. The minister endorsed the nuclear agreement hashed out last year between Iran and the P5+1 countries — the U.S., the U.K., France, China, Russia and Germany — a deal that faced deep opposition from the former Harper government. Now, with most of the world's sanctions against Iran dismantled, the country will be able to repatriate more than $100 billion in assets held abroad — including funds in Canada — that were frozen in an effort to punish Iran for pushing to expand its nuclear capacity. There are fears that some of that money could be used by the regime to prop up its interests in the region, including elements deemed by Canada to be unsavoury at best and terrorist organizations at worst: Hezbollah in Lebanon, the Bashar al-Assad regime in Syria and Shia militias in Iraq. Conservative foreign affairs critic Tony Clement has called the government's move "irresponsible" and "disappointing." "We all know Iran's record of support for Hezbollah and Hamas, its constant agitation in the Gulf region, especially in Bahrain, Yemen and Saudi Arabia, as well as the continuing calls for the destruction of the state of Israel, and its denial of the Holocaust by the supreme leader," Clement said after Dion's announcement. But the warmer stance the Trudeau government has taken toward Iran is being welcomed by some who see it as integral to bolstering Canada's role in the region. "I think [lifting sanctions] is absolutely the right move," said Thomas Juneau, an associate professor at the University of Ottawa and a former Middle East analyst for the Canadian Armed Forces, in an interview with CBC News. "I'm of the school of thought that you talk to bad guys," Juneau said. "It's completely in Canada's interests to have diplomatic relations with Iran, all our European partners do. "There is no logical or strategic or diplomatic reason not to open an embassy over there in Tehran," he said, pointing to the relations Canada maintained with the Soviet Union during the Cold War. Juneau said some of the Conservative concerns are likely overblown, as the new government's outreach to Iran is not "a grand reconciliation." "We're still not friends, we're not allies. Everything that was a sticking point still holds — including human rights, and Israel." Dion has said Canada "still has a lot of suspicions" about Iran and is re-engaging with its "eyes open." "Canada is finally joining the rest of the international community," said Nader Hashemi, a Canadian expert on Iran and a professor at the University of Denver. "We were out of step with Western public opinion on this topic largely because the Harper government was so beholden and enamoured by right-wing Israeli policy. "It was an embarrassment for Canada because we were even more hawkish than [Israeli Prime Minister] Benjamin Netanyahu," Hashemi said. Canadian businesses are pushing ahead with plans of their own in a post-sanctions era. 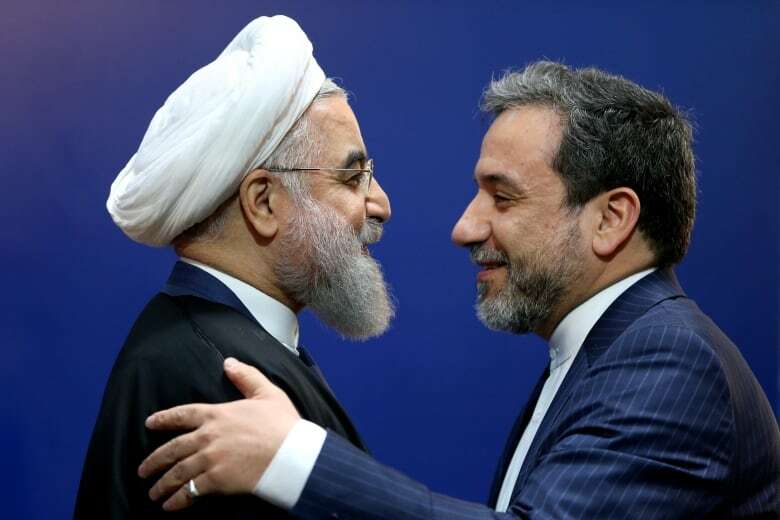 "Iran is one of those untapped markets in the Middle East where foreign businesses are eager to swoop in and take advantage of a market of some 80 million people," Hashemi said. "Canadian companies stand to benefit with this new opportunity." Hashemi said that it's likely corporate interests played a big role behind the scenes in shifting Canadian policy toward Iran. "They have been firmly lobbying the Canadian government saying, 'Let's restore relations,' because there is this huge potential," he said. The Canadian Chamber of Commerce, the country's largest business group, has already lauded the change as a "good move for the economy." "Now that we have confirmation by the International Atomic Energy Agency that Iran has fulfilled all necessary commitments, it is only normal that we should move in the same direction as our allies and lift these economic sanctions," said PerrinBeatty, the president of the group. 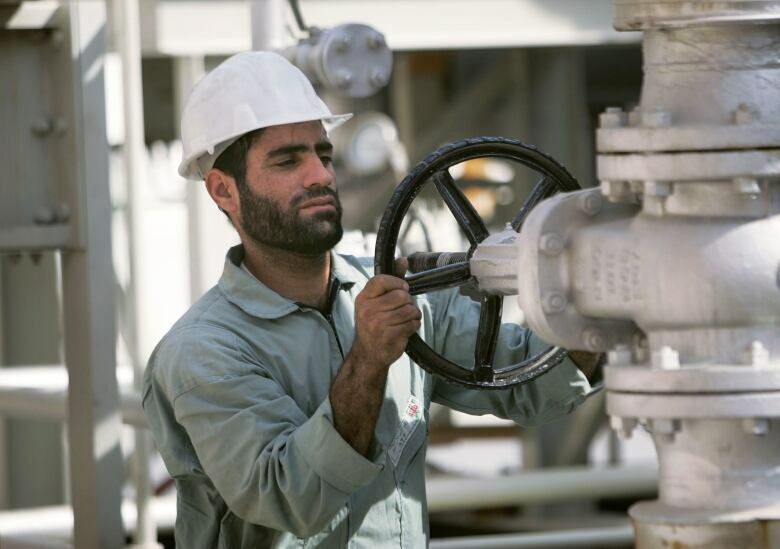 And the fear that Iran could flood the global market with more oil and gas, and further sink already battered oil prices, is likely premature. More than a decade of international sanctions has left the oil and gas industry "crippled," Juneau said, and it will require billions of dollars in investment to get it up to speed. Some of the money that will be repatriated amid the sanctions relief will be used for that very purpose. Beatty said that's where Canada can play a role. "The oilfield service and equipment companies that are suffering in Western Canada will welcome this change," Beatty said. And yet the government's commitment to improve relations with the Islamic republic will be sticky because of moves Harper made while in government. "You can't just knock on their door and say, 'Let's shake hands and forget about everything,'" Juneau said. If Trudeau formally restores relations and reopens the embassy in Tehran as he has said he wants to do, he will have to reconcile that position with Canadian laws that are designed to prevent that very thing from happening. The Harper government left Canada-Iran relations "booby trapped," Juneau said, because it branded Iran the greatest threat to world peace, formally declared the country a state supporter of terrorism and drafted legislation allowing Canadians to sue Iran for compensation for terrorist acts. Canada broke off ties with Iran in September 2012 and closed the embassy in Tehran, citing concern for the safety of Canadian diplomats and staff. Iranian diplomats in Canada were also expelled from Ottawa. Trudeau's cabinet can remove Iran from the list of state sponsors of terrorism with the stroke of a pen, but it will face political pushback to such a move, because, as Juneau put it, "that would be factually inaccurate" given Tehran's ties to Hezbollah. It's unlikely Iran would be open to restoring diplomatic relations with Canada unless it takes some of its anti-Iran laws off the books. "The Harper government's legacy is still a dark cloud hanging over Canada-Iran relations," Hashemi added, saying a Canadian embassy in Tehran is still at least two years away given the current bad blood.